This service revitalizes your client’s skin and stimulates her senses with a unique and luxurious orange peel scrub that gently exfoliates skin, preparing it for the rich, hydrating effects of Moroccan oil’s honey and lavender-scented Intense Hydrating Treatment. 1. Sanitize the client’s hands. Prep nails by leaning up the cuticles, cutting, filing, and shaping the nails. Lightly buff the nails to ensure a smooth polish application. 2. Apply Moroccan Oil Body Buff scrub to the client’s hands and massage into the skin to gently exfoliate. Rinse the scrub from the hands with water and dry. 3. 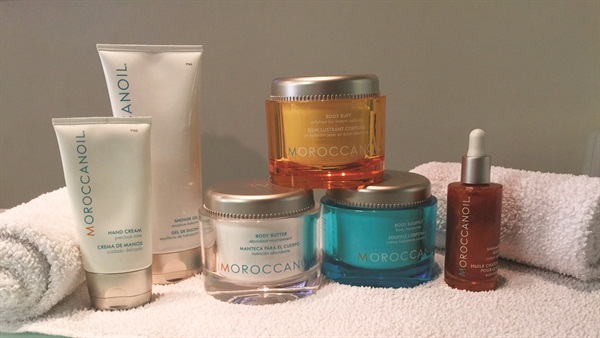 Massage the hands with Moroccan Oil signature-scented Body Soufflé. Wrap the client’s hands in warm towels to lock in moisture, and allow to sit for three to five minutes. 4. Remove the towels and apply Moroccan’s Shimmering Body Oil, which adds a healthy sun-kissed glow to the skin. 5. Cleanse the nails to remove any residue and apply a base coat, two coats of polish, and a top coat. 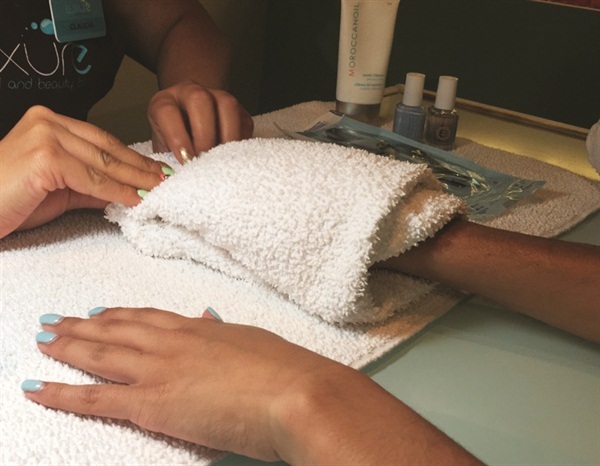 Use an alternate name such as Exotic Far East Manicure, soak the client’s nails in a manicure bowl with a dash of amber essential oil, and offer the client a cup of Moroccan mint green tea.